CBD Oil contains CBD and only trace amounts of THC (typically <0.01%). CBD has been under intense scrutiny for many years, and its medicinal benefits are well studied and documented. This guide is intended to be an intensive discourse into the subject of CBD supplements for the natural treatment of various conditions. We have written this article for consumption by the layperson with little or no knowledge of the issue. It is intended for those who have an interest in either merely finding out more, or who are looking for the best option for themselves or others. For this purpose, we have kept medical and scientific jargon to a minimum, however, we have included explanations for the terms that we have used. Because the topic of CBD is so vast, we have reduced the length of this mega-article and moved the more detailed information into a number of sub-articles below, so that you can more easily process the overview information and delve into the more detailed articles at will. Cannabidiol, otherwise known as CBD, is the active ingredient in CBD oil. It is one of over a hundred compounds found in the cannabis plant that belongs to a class of substances called cannabinoids. Whereas Cannabidiol (CBD) is the cannabinoid that has been found to exhibit many medicinal benefits, Tetrahydrocannabinol (THC) is the cannabinoid that has a psychotropic or intoxicating effect in users. THC and CBD are the two most abundant cannabinoids in cannabis. Cannabidiol (CBD) is well known for its medicinal benefits, and Delta-9 Tetrahydrocannabinol (THC) is probably the most well known of the cannabinoids because of its psychotropic activity or psychoactive effect, causing a sensation of intoxication in users. These are two of over a hundred identified cannabinoid substances within the cannabis plant. You may well be confused by the terminology, in terms of what is meant by cannabinoids and how they differ from cannabis. Cannabinoids are a class of several chemical compounds that act on the cannabinoid receptors in cells that modify the release of neurotransmitters in the brain. Cannabis, on the other hand, is a type of plant, of which marijuana and hemp are varieties. CBD oil is typically made from hemp, a variety of the cannabis plant that has high levels of Cannabidiol (CBD) and very low levels of Tetrahydrocannabinol (THC). Unlike cannabis oil or medical marijuana, which is usually made from marijuana, another variety of the cannabis plant that has a high level of THC, it has a minimal level of THC, making it non-psychoactive. Before 2014, CBD Oil was only available as a constituent of medical cannabis or cannabis oil, which typically has a significant THC content, and while this remains a popular option, both legality issues and the unwanted high from THC led to the first CBD extracts from hemp. Cannabis extracts with high concentrations of THC are usually known by various names such as medical cannabis, medical marijuana, cannabis oil, marijuana oil, or THC oil. Extracts with high levels of CBD are commonly known as CBD oil, cannabidiol oil or CBD hemp oil. Most CBD oil tends to be CBD hemp oil because it is vastly more cost-effective to produce CBD oil from the hemp plant. The reason for this is that hemp naturally has a high CBD content and a negligible THC content. Producing CBD oil from the marijuana plant would necessitate removal of the THC content, which would be a costly process. What is CBD Hemp Seed Oil? It is important to note that some manufacturers now produce a CBD hemp seed oil. However, this should not be confused with the hemp seed oil described above, as this is a CBD product that uses hemp seed oil as a carrier or suspension, as opposed to olive oil, coconut oil or MCT oil. 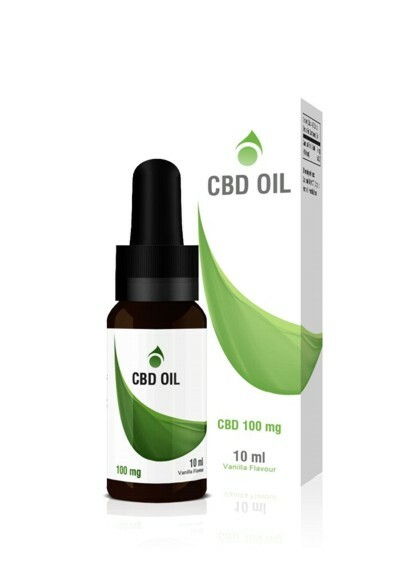 Unlike CBD hemp oil which is extracted from hemp plant matter, hemp seed oil is made from the cold-pressed hemp seeds which contain no CBD or THC. Many experts consider hemp seed oil to be one of the most balanced nutritional oils found in nature. Manufacturers produce hemp seed oil by cold-pressing industrial hemp seeds and extracting the oil. It is a natural source of essential amino acids and omega-3 & 6 essential fatty acids but is virtually free of cannabinoids. Marijuana and hemp are merely different varieties of the cannabis plant. Hemp, otherwise known as industrial hemp is commonly used to produce textiles, clothing and rope. It has a very high CBD content combined with a low THC content of typically less than 1%. These days, most manufacturers produce their CBD products using hemp, as a result of the significantly reduced cost of production, as the THC need not be removed from the product. Marijuana, in contrast, has higher levels of THC, the chemical compound responsible for the “high” that marijuana users experience. Marijuana is used to produce medicinal marijuana or cannabis oil, often used by cancer patients and those experiencing extreme pain. CBD Oil works because it contains a cannabinoid called Cannabidiol (CBD), and the human body contains an Endocannabinoid system, which is a group of cannabinoid receptors located in the brain and throughout the nervous system. Cannabinoids manifest their effects by interacting with the body’s endocannabinoid system, which is responsible for the psychological and physiological effects of cannabinoids. The health benefits are numerous. It exhibits potent antioxidant, analgesic, anti-cancer, anti-inflammatory and antipsychotic effects. It alleviates the cognitive decline associated with ageing, and it also reduces the risk of diabetes. CBD products have been legal in South Africa since they first became available on the market. This is mainly because of the lack of THC, which is the psychoactive compound which causes a sense of intoxication when consumed.